As I stated in some earlier posts. When I got into cryptocurrency trading I put everything on hold including this business. For the most part, I’ve lived crypto 24/7. I learned a lot and made a few friends along the way. When I got back into web design I realized immediately that a lot has changed in the code. HTML5 features a lot of new tags, and I could definitely use a refresher course in CSS3. Over the last couple weeks I’ve signed up for several code boot camps focused around HTML5 and CSS3. Because most of these courses all have the same general content flow I do them all simultaneously. I’m currently signed up for I think 4 different boot camps. In a lot of ways, learning code is all about repetition. The more you get your feet wet and do it, the more you’ll retain. At least, that’s how it has always worked for me. I finished the shortest course last night. It was an introduction to HTML on CodeAcademy. CodeAcademy doesn’t give you a certificate so I took a screen shot. Introduction to HTML – Course Completed. HTML first to be added to my completed skills. Next up… Another refresher course in CSS! Well if anyone needs a website, now is the time to contact me. I’m working cheap right now, but that’s going to change soon. I brought on a local real estate developer, and I should be finished up with that in the next week or so then I’m free to take on new projects. A Link To My CodeAcademy Profile. This entry was posted in html css, updates and tagged 100 Days Of Code, CodeAcademy, css, html on February 23, 2019 by NewAeon. 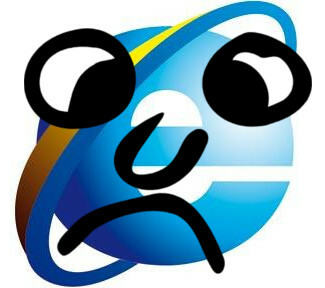 What’s up with Internet Explorer. We have the W3C World Wide Web Consortium and we even have validator services now. Yes HTML and CSS have come a very long way, but for a major company like Microsoft I really don’t understand why its so hard to play ball with the rest of the team. I know I can’t be the only one who feels this way, or is tired of creating wonderful designs, only to discover the design works great in every browser BUT Internet Explorer. This has been a Microsoft problem from the beginning. They expect the whole world to bend over backwards for Microsoft and play ball by their rules.Even with the W3C as a guideline for the rest of us, Microsoft expects us to write special code just for their products. Yes, it can be fixed by creating a special style sheet just for the IE browser, but really ! Is this what we should be doing ? Maybe if enough designers and web surfers alike demand Microsoft play ball with the rest of us, then they will indeed change. As a designer maybe we should charge extra for the IE style sheet. As a surfer refuse to use IE products. As designers we can place the W3C validation button on the bottom of every page, and add a link that says if this page isn’t loading correctly download a browser that meets the W3C standard with a link to Chrome or a Mozilla product. This topic especially hits home with me because I don’t use any Microsoft products. I test my pages in Chrome, Firefox and Konqueror and they always look so much better than in I.E. When I try something new, I’ll also test on a friends Mac Book and their browsers. Although this is really nothing more than a rant, I would love to see an organized Internet campaign to push people away from IE products or at least help Microsoft realize the error of their ways. The good news is, the times they are a changing. When I look at at my server stats now, compared to server stats from ten years ago, the majority of users are using better browsers, and IE products seem to account for about 20 to 30 percent of my users browsers. Compared to ten years ago when Microsoft still had about a 70% market share of browser traffic. You would think they would start getting the hint. Maybe, with a little push from all of us, we can get that number down to a little less than 10% and not only get Microsoft to play fair, but also educate web surfers, and customers alike on the W3C HTML CSS standards. This entry was posted in html css, Internet, Jibber Jabber, Uncategorized, web design and tagged css, html, IE, internet explorer, rants, W3C on March 2, 2014 by NewAeon. Three great interview podcasts from Blog Talk Radio with CSS junkie “Big John” Gallant on CSS and web design. These interviews cover all kinds of tips and tricks, and different fixes for dealing with different browsers. These are about 3 years old but are still very informative. If you ever wondered why IE6 has such a hard time displaying modern CSS these interviews really put it in perspective. 4/7/10 First interview, talks about debugging pages for IE6 when using CSS. 6/14/10 Second Interview talks about working with .png files and getting them to work better in IE6 and making style sheets for IE6. Also gets into fonts and font sizing. 6/22/10 Third interview. Talks about @media and different tips and tricks for mastering CSS. This entry was posted in fonts, html css, web design and tagged css, html, IE6, png, web design on February 24, 2014 by NewAeon. Here’s a simple way to scale images in your responsive web design using CSS, two classes and some html. I created two classes one named .image-wrapper and the other I named .scale-image. First, lets create the two classes. We will name the first one .image-wrapper and this will be used as a div. Next we will make the .scale-image class. This class will scale the image inside the image-wrapper div. You can play around with the max-width percentage based on your design. Place the image code inside the div of the image wrapper you created and then use the scale-image class to scale the image based on the device or browser size. That’s it your done. If you want to see the code in use you can check out a clients site I’m doing here. This entry was posted in graphics, html css and tagged class, classes, css, graphics, html, img, tutorial on October 19, 2013 by NewAeon.